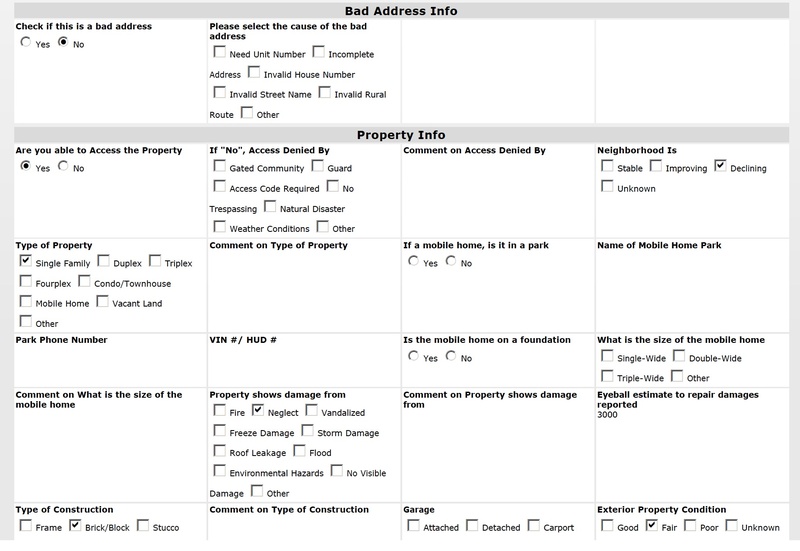 This page shows images or PDFs of sample inspection reports or property preservation reports. This is only a small sample of all the reports that are generated in EZ system. You can create your custom report in EZ, merging data and photos that are collected on web or mobile devices. Contact us at 1-866-931-9719 or info@ezinspections.com for more details. 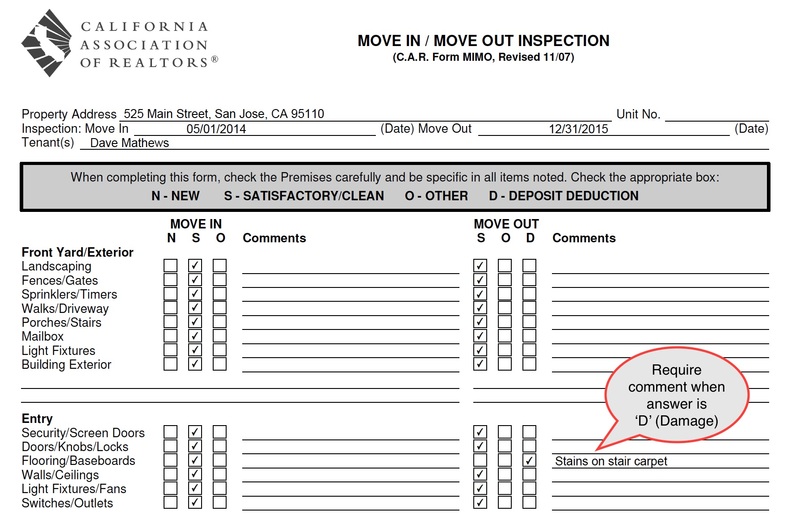 The Move-in Move-out Inspection Report displays the move-in and move-out information on the same report. 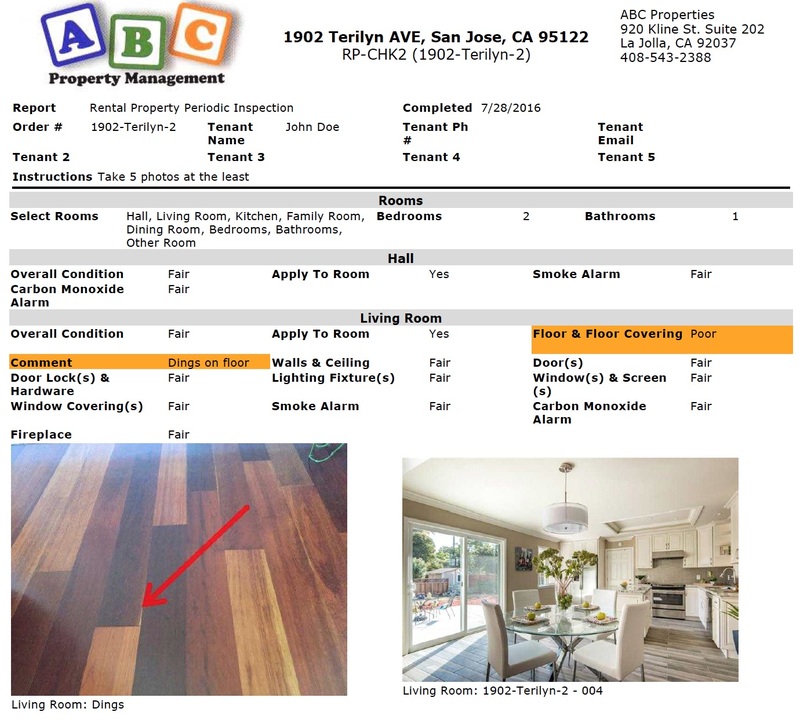 The periodic inspection report shows your custom logo, form data with highlighted alerts, photos below each room, and resident signature. The Vacation Rental Inspection Report shows inspection data and photos of a rental property. Depending on which form to use, the report may reflect results of a pre-arrival, departure, rental ready, or annual condition inspection. This is a partial sample of general liability inspection report that is used in insurance inspecitons. 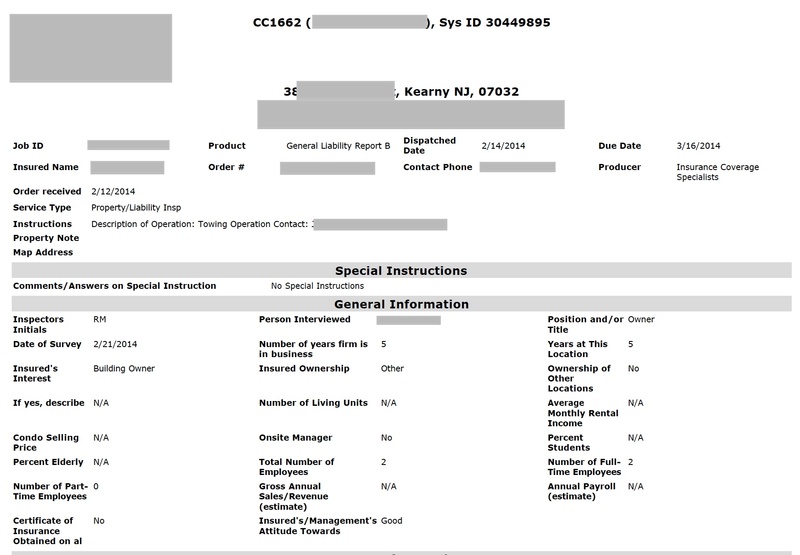 This is a sample vehicle inspection report. This is a sample UMV inspection report used in Florida wind migitation inspection. This is a sample 4-point inspection report used in Florida wind migitation inspection. 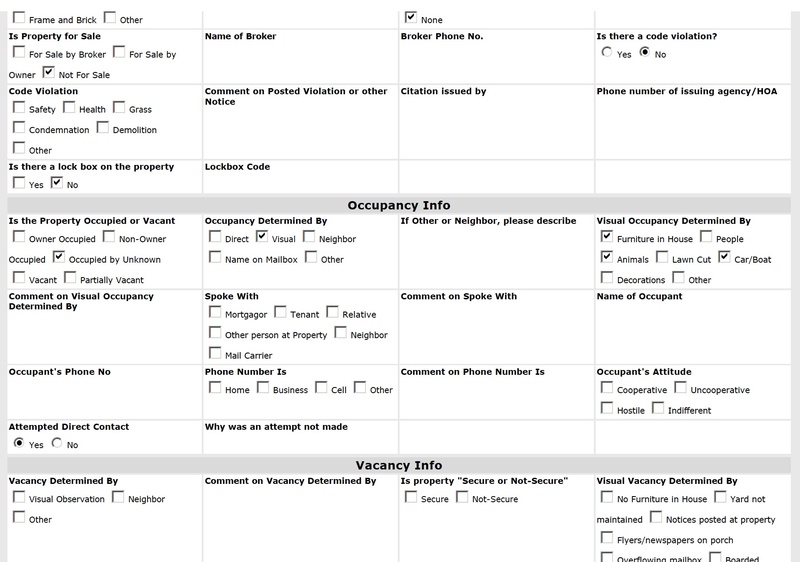 This is a sample inspection report of occupancy verification that is used in bank's mortgage inspection. This is a sample grass cut report that is used in bank's property preservation jobs.